Calling all witches and wizards; it’s time to head back to the Wizarding World! 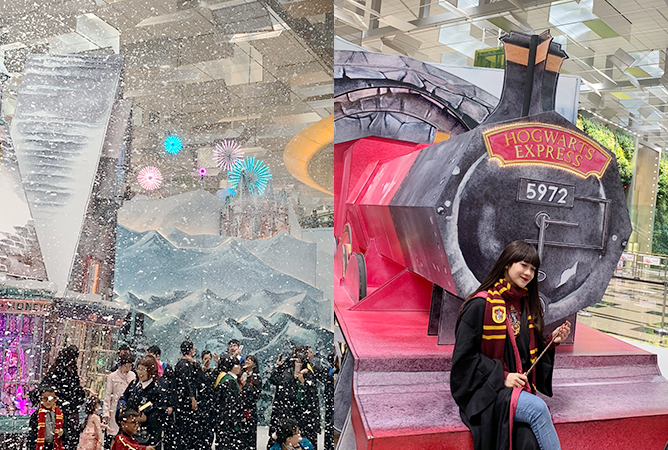 Just in time for the festive season, Changi Airport has been transformed into a Harry Potter-themed paradise complete with life-sized setups, colourful Christmas lights and snow showers across all three terminals. From now till mid February 2019, fans of the boy wizard will have a chance to explore a magnificent recreation of Hosmeade Village and participate in spellbinding activities at Diagon Alley as you soak in the bewitching atmosphere. Here are some of the highlights waiting for you to discover at A Wizarding World Holiday. Ever dreamed of making the Quidditch team? Well, here’s your chance to practice your skills and see if you have what it takes to make the cut for the fictional sport. Quidditch Toss will give you the opportunity to throw the Quaffles into the three hoops to score points, all while riding a broomstick. Don’t worry about the Bludgers or the Quaffles flying back at you – this is a keeper and beater free zone. 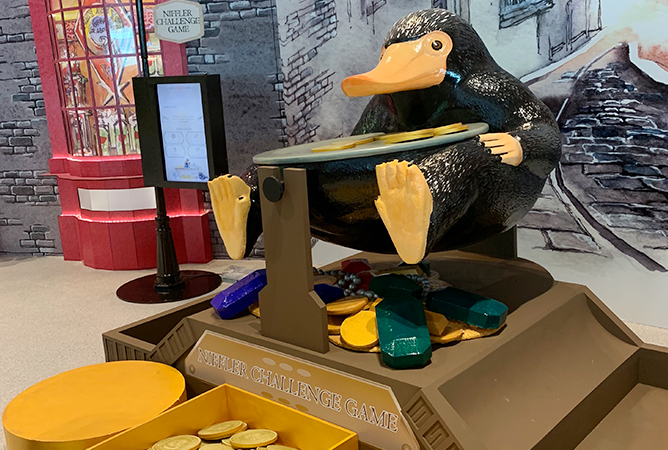 Challenge your fellow Potterhead pal to a balancing game with an adorable giant Niffler that won’t be stealing the shiny coins. All you need to do is spin the wheel and stack the required number of coins on your respective sides. You and your friend will each take turns stacking the coins until the Niffler tips – the heavier stack wins! Show off your house pride with the Hogwarts school uniforms available for you to dress up in your Harry Potter best. 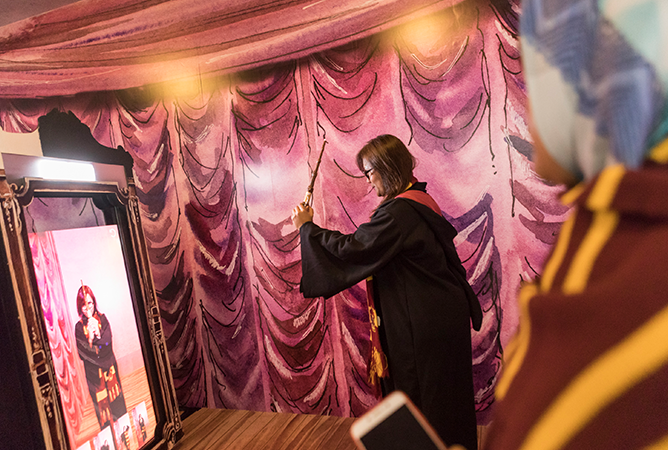 To make things more magical, you can even create your very own GIF image in front of the magical mirror which makes for a perfect, lasting memento of your enchanted day out. Inspired by the original Hogsmeade Village from the Harry Potter universe, be enthralled by the daily snow and lights show happening on weekdays at 6pm, 7pm, 9pm, and on weekends at 1pm, 6pm, 7pm and 9pm. Aside from photo opportunities at notable shops like Zonko’s Joke Shop, Honeydukes and the Owl Post, fans will be delighted to know that you can also get up-close to a recreation of the iconic scarlet steam engine, the Hogwarts Express! 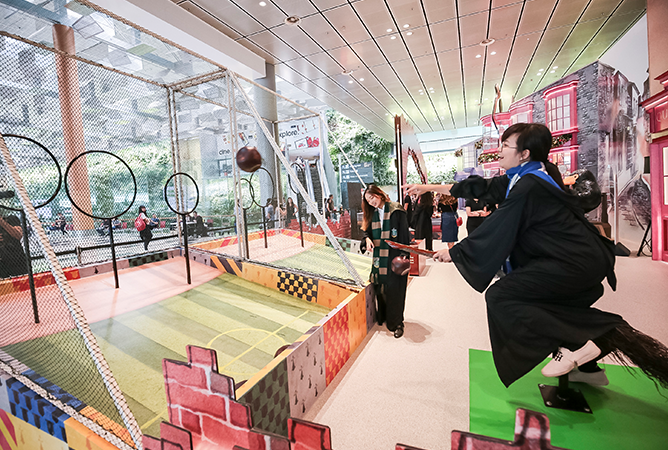 A Wizarding World Holiday at Changi Airport runs from now till mid-February 2019, 10am to 1pm daily. Sentosa Island Lights 2018: Pikachu Night Parade, ASMR Installation And More! Things are about to get lit at Sentosa this November! Previously known as Pop Up Night, the inaugural Island Lights 2018 returns just in time for the year-end festivities. From 16 November to 31 December, Sentosa’s Palawan Beach will be transformed into a multi-sensory wonderland with a series of photo-worthy landscapes to get your ‘gram on. Here are some of the highlights you can expect – dancing Pikachus, ASMR treats and more. Everyone’s favourite Pokémon, Pikachu, will be joining the party! 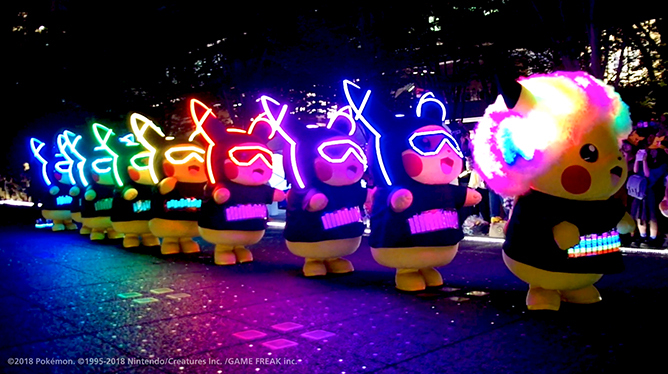 Taking place from 7.30pm on 14 to 16 December and 21 to 23 December, the Pikachu Night Parade will see a posse of life-sized Pikachus decked out in glowing neon lights as they march and dance along the Palawan Beach Walk. Be sure to head down early to chope your spot if you want to catch ’em all! After getting your Pikachu fix, hang out with local artist Yang at ASMR Wonderland. Serving as a “representation of pop culture and social media”, this one-of-a-kind exhibition offers a multi-sensory experience that is said to engage four of your five senses: sight, smell, touch and hearing. Satisfaction guaranteed! Sam Lo, aka the crowd-favourite Sticker Lady, probably needs no introduction. 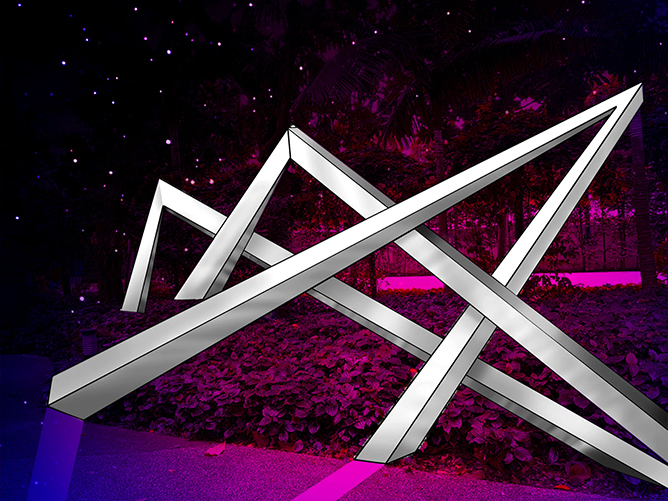 Be prepared to feast your eyes on a visual splendour of logic-defying structures, all exquisitely designed with reflective surfaces that make for perfect Instagram fodder. Ahoy, mate! 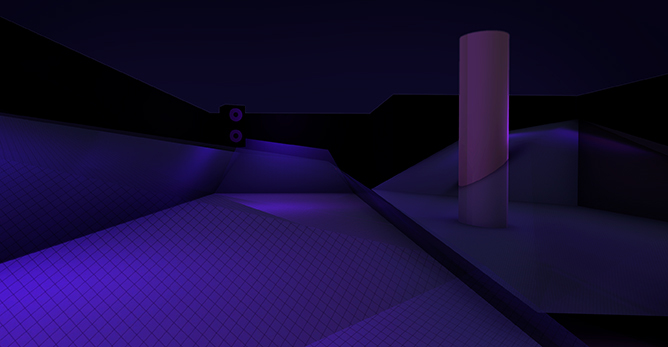 Have a splashing good time at this massive water playground, which will be dressed for the occasion in neon livery. If you need a break from the foam parties and inflatable play areas, you can also indulge in activities such as glitter slime-making and rock painting. That’s not all; there will also be live performances and delicious light bites amongst other offerings to keep you occupied throughout. Get ready to party under the sunset sky with breaking waves, lively tunes and sand beneath your feet. Because at Sentosa, the fun doesn’t stop at dusk! Sentosa Island Lights 2018 runs from 7pm, 16 November to 31 December 2018. Visit www.sentosa.com.sg/islandlights for more information! Ah, virtual reality; the technology that transports you to imaginative worlds with just a simple headset. With the advent of VR in recent years, more and more companies are embracing the technology to create new immersive platforms beyond mere gameplay. Just take HeadRock VR for instance, an all-new theme park that fully utilises the power of VR for a larger-than-life escapade unlike anything you’ve ever seen before. Set to be Singapore’s first and largest virtual reality theme park, this next-level digital attraction is the latest brainchild of Korean production house Mediafront and will be making its highly-anticipated debut on 17 November at Resorts World Sentosa. Adrenaline junkies are sure to get a kick out of the 11 thrilling rides available – from plunging into molten lava from a height of more than 1000 metres on the Flying Dive, to navigating extreme river rapids on the crowd-favourite Jungle Rafting. Or if you’re up for something more adventurous, hop on a dog sled as you brave through a snowy storm blizzard on the Storm Blizzard. More reason to make a trip down to HeadRock VR? If you’re a fellow K-popper, you’d be surprised to know that BIGBANG’s Seungri serves as the franchise’s Creative Director and will also be in town to grace the official launch event. This marks the enterprising star’s first foray into the IT sector, having already owned several flourishing businesses under his belt including a rapidly-expanding Japanese ramen chain, a luxury lounge bar and an EDM music label. Attraction tickets priced from $35 to $65 are available for purchase on SISTIC. Early bird passes with a 15% discount are also up for grabs from 17 November to 16 December. HeadRock VR is located at 26 Sentosa Gateway #01-38/39, opens daily from 10am to 8pm (last admission at 7pm). Over the years, we’ve seen bubble tea stores come and go – from the good ol’ days of Sweet Talk, to big-name chains like KOI, Gong Cha and LiHo taking over the BBT game. And it seems like the craze is here to stay, with plenty of up-and-coming brands springing up on our sunny island in recent months. If you’re looking to switch up your go-to order, here are five new alternatives to get your boba fix from. HEYTEA needs no introduction. Touted as the OG creator of cheese tea, the highly-raved Chinese tea connoisseur has finally made its way to Singapore and opened to much fanfare the past weekend. Aside from their specialty tea offerings, you can also get your hands on their Singapore-exclusive ice cream flavours such as Durian Ice Cream ($4.80) and Salted Egg Yolk Ice Cream ($4.80). Just be prepared to join in the queue – it’ll be worth it. If fruit teas are your cup of tea, look no further than TaiGai. Originating from Shenzhen, the novelty tea brand has recently set up their first ever overseas outlet in Singapore this September. Come for its exotic floral-scent teas, but stay for their signature Fruity Milky Kiss series – a refreshing combination of fresh blended fruits and milk cheese that are equal parts sweet, creamy and velvety. For starters, go for their best-selling Strawberry Pulpy Kiss ($6.80) which comes topped with a strawberry-blended milk cheese crown that will have you smitten at first sip. Located conveniently in the heartlands of Bishan, Bober Tea is an artisan bubble tea joint famed for its colourful array of Instagrammable concoctions. Not to be missed is the Brown Sugar Fresh Milk ($3.80), which is delightfully complemented by their 65 degrees brown sugar coated pearls. Oh, and did we mention how adorable their takeaway packaging is? You can walk away with these cute carriers, or get your drinks dabao-ed in their reusable Buber Bottles. Talk about saving the environment, one bottle at a time! If you fancy a healthier option to your regular cheese tea, consider giving Muyoo a shot. The homegrown label offers a selection of fruit-based beverages that come topped with their iconic Cheese Cloud, which is said to be made from naturally derived milk powder instead of artificial creamer. At their newest concept store situated outside of Bedok Mall, it also incorporates a bakery serving up fresh breads and pastries in addition to their beverage offerings. Have a question you don’t have an answer for? Answer Tea may be able to help you out. Simply write your questions on the cup holder and you’ll get your answer printed (it’s edible ink – don’t worry!) on top of the froth of your drink of choice. If you’re here for the ‘gram, we highly recommend the Lemon Butterfly Milk Tea (from $4.20) which has a gorgeous blue hue derived from butterfly pea flowers. Have you tried any of these new bubble tea shops? Let us know what you think in the comments below! Heading for a vacay soon? You may want to make a trip down to the first-ever Travel Pawn Shop pop-up, happening from 16 to 18 November at Bugis+ Atrium. 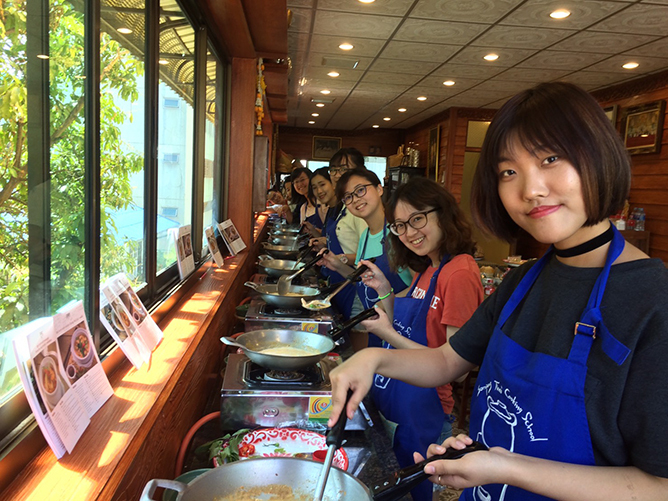 With the holiday season just right around the corner, it’s hard not to be struck by the wanderlust bug, especially with all your friends spamming Instagram with their envy-inducing travel photos – whether it’s of them posing along the scenic streets of Tokyo, or discovering authentic Thai eats in Bangkok. And our good friends at Klook know exactly how important such experiences are to the Instagram generation of today, which is why they launched an entire Travel Pawn Shop to help you create memories of a lifetime. So how does it work? Think of it as a traditional pawn shop – but instead of trading in items like expensive jewellery and luxury watches, you’re required to put up your old travel snaps on Instagram or Facebook with the hashtag #klooktravelpawnshop in exchange for a pawn ticket, which allows you to redeem a mystery experience at any of these five destinations: Japan, Korea, Thailand, Taiwan and Hong Kong. 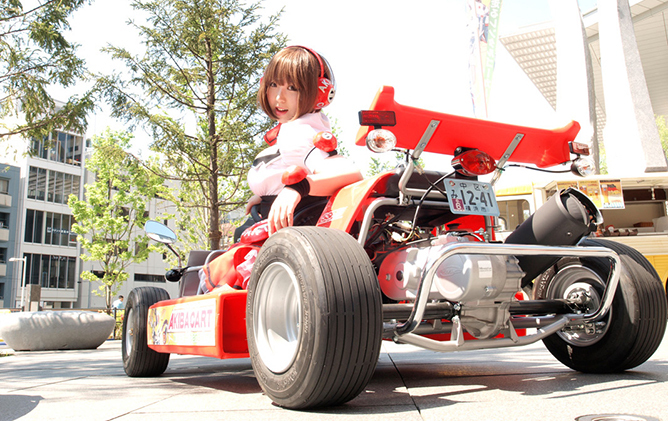 This means Klook can take you from a Go-kart experience down the streets of Akihabara in Tokyo, to exploring the bustling Jiufen district in Taipei. And these are just a portion of the 10,000 experiences you can expect to receive over the course of three days at the Klook pop-up. If the selected destinations are not in your travel bucket list, you can choose to opt for Klook credit which can be used for more than 250 destinations. In addition, visitors can also look forward to hourly flash deals on high-demand activities such as Universal Studios Japan, Everland and Ocean Park over the weekend from 2pm to 6pm. Now it’s time for you to give your friends some serious travel envy! Klook Travel Pawn Shop will be taking place from 16 to 18 November, 10am to 10pm at Bugis+ Atrium. RSVP here!